She’ll do anything to get her daughter back. But can she uncover the dark secrets of her past in time to save her child? Madeline was sixteen when she was taken by the Singing Woods Killer, slated to become his fifth victim. She escaped, killing him in the process. 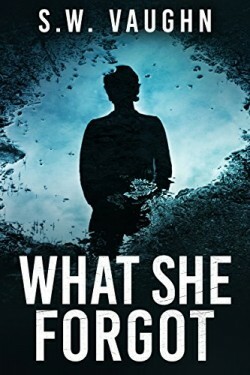 But the ordeal left her with no memory of the week she spent as his captive, and a rare psychological disorder that preys on her mind, distorts what she sees. For years she’s known that she can’t trust her own thoughts. That’s why no one believes her now, twenty years later — including herself — when she starts seeing the dead man who abducted her. At the supermarket. In her back yard. But when her own sixteen-year-old daughter goes missing, Madeline begins to think she may not be crazy after all. He’s back. And he wants her to suffer. Now, If she can’t uncover the truth about what happened to her twenty years ago, her daughter will die. And she’ll be next.